dorian or haney and before there was me..
who do you think was better? Re: dorian or haney and before there was me..
Haney, but I like the pre-Dorian look better in general. Dorian was waaaaay better but I prefer Haney's physique any day, he looks amazing besides arms, perfect chest and aestheic, but for bodybuilding competitive perspective Dorian destroys him imo. This is before Dorian became a monster come on, when he went crazy with HGH and slin he was twice the size of lee lol. a humans life is measured by more than 1 phase.. 2 years is a short time.. 10 years is a long time..
who was better but yes many think dorian was.. I would take Hanys physique. 1993 Dorian had that wow factor. Haney in his prime outclasses any other version of Dorian's. Impossible to compare. Two completely different athletes, two completely different era's. 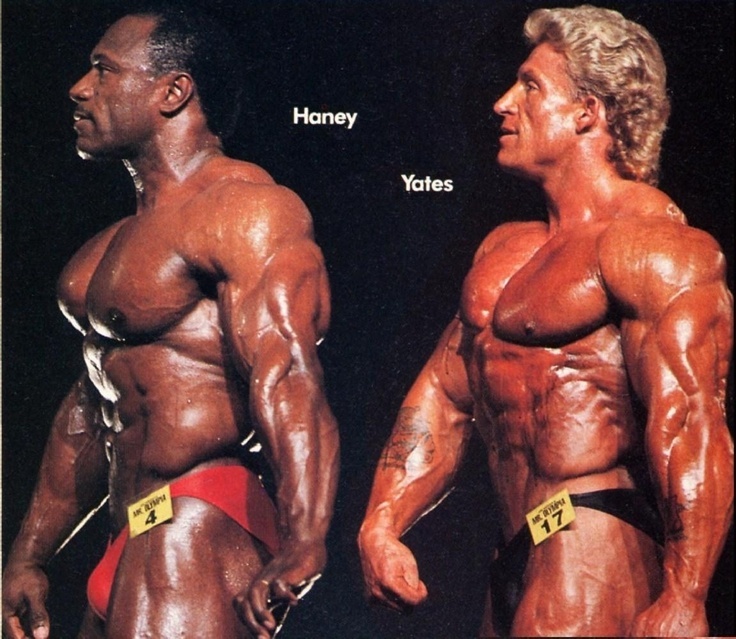 Lee Haney and Berry De Mey were my big examples, they made me go bodybuilding. That's why I will always respect Lee. 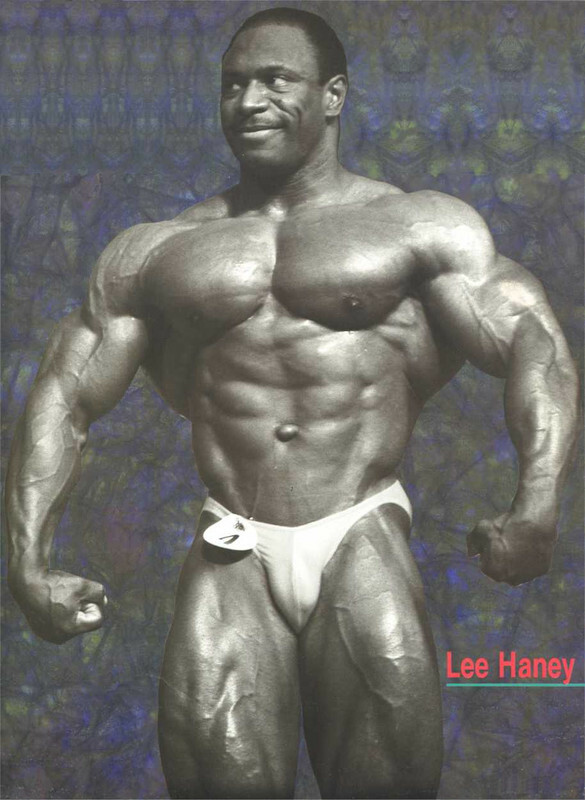 Haney wasn't even 25 years old when he became Mr Olympia. Today such thing is impossible. 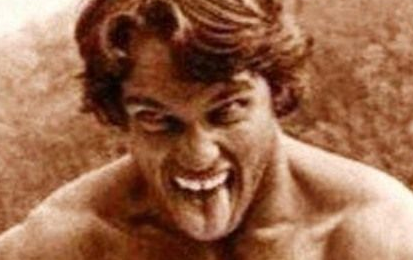 Because of the drugs used today, a physique needs to mature. 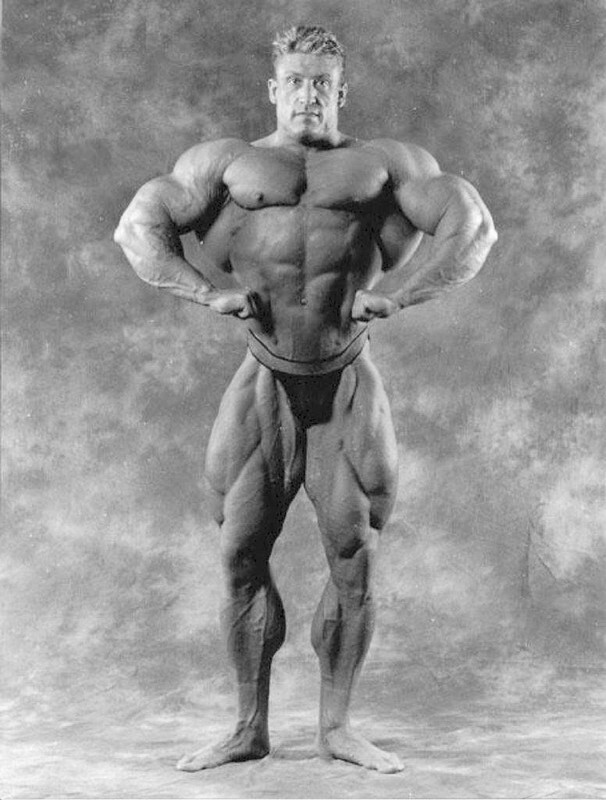 Haney was the last of his kind (physique mainly built on aas). Dorian changed the game. That's why he is a legend. His 1993 condition is imo unequaled until today (combination mass + grainyness). But Lee had greater genetics. Look at that chest! And he stayed Mr Olympia for 8 years in a row without any discussion, in an era with great athletes. Younger guys think of him like he's from prehistory, but he's not even 5 years older then Ronnie! Stopped at age 31 because he didn't want to join the evolution that Dorian preluded (slin era). We have to respect his decision. After all, he's today in better health then Ronnie. Which is more important then having won maybe another 5 olympia's, if you ask me. 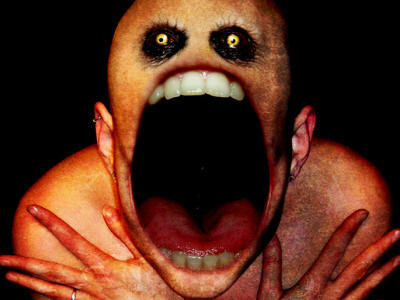 now i don't say everything i did was good.. im not proud of the fact every idiot out there is on hormones.. I mean look at the guys now, and compare to Nasser, Levrone, Wheeler, Ray, beautifull!! But even he started to give out more info after you came on. I really think that guys like Rich Piana (although stupid lifestyle, proberbly pain killers or narcotics) even he started out telling truth more and more because of the GH15 change. The guy even ate ice cream every night, something I remember you told you did years ago. I hoped to get there with hard work and some extra protein shakes haha. Both were gentleman of the sport in their own respect. Theres Dorian with practically annihilate the muscle and Lee with don't annihilate stimulate. I am going with Dorian base on the slabs of muscle in comparison and that grainy dense muscle he had. Dorian was the gateway in between aesthetic physiques to the mass monsters to follow. he fucked up few times though with timings but over all 4 time mr o cant.. WHITE BOY! you will never see such a thing in this generation.. Yes when Jay Cutler came up I remember that, when he came up, lots of guys back then you dont hear of anymore... back then I followed Nasser alot arround that time, I really liked that guy. Really really liked that guy. Maybe because he was from Germany like me, I remember his old website where he would sell his worn slips haha, he stated on the website that he would bring out an book about the IFBB, but unfortanly he never did. I really hoped that Nasser was you GH15. Sorry for that. Great times around 2000's, but for bodybuilding for me very hard, I did not know how to get in advance bodybuilding. I followed a lot of pro's but no true info. Jason is a good fella, may not know behind the scenes but appeared to be a clean enough fella and a gentleman of the sport. He was around the wrong time with big Ron coleman being the champ. But that appearance when he came back with the hair cut and some pure IGF in his blood. This was his best conditioning for sure. Maybe a 03-04 appearance but that was IMO his best. Wasn't Nasser (beautiful man with glasses) from Yugoslavia same as Milos? (I know gh15 do not like him from something very bad he did a few years back to a client of his). 2003-2004-2005 ron colman was at his biggest so those years are magical to the ones who been in the flesh during that era..
nothing really matched 2006 when Jason defeated ron as much as many didn't like it because ron is the best ever along with dex but still this was very significant since unlike haney ron didn't leave undeafeted and ron was BETTER than haney so it tells you all you need to know about Jason cutler..